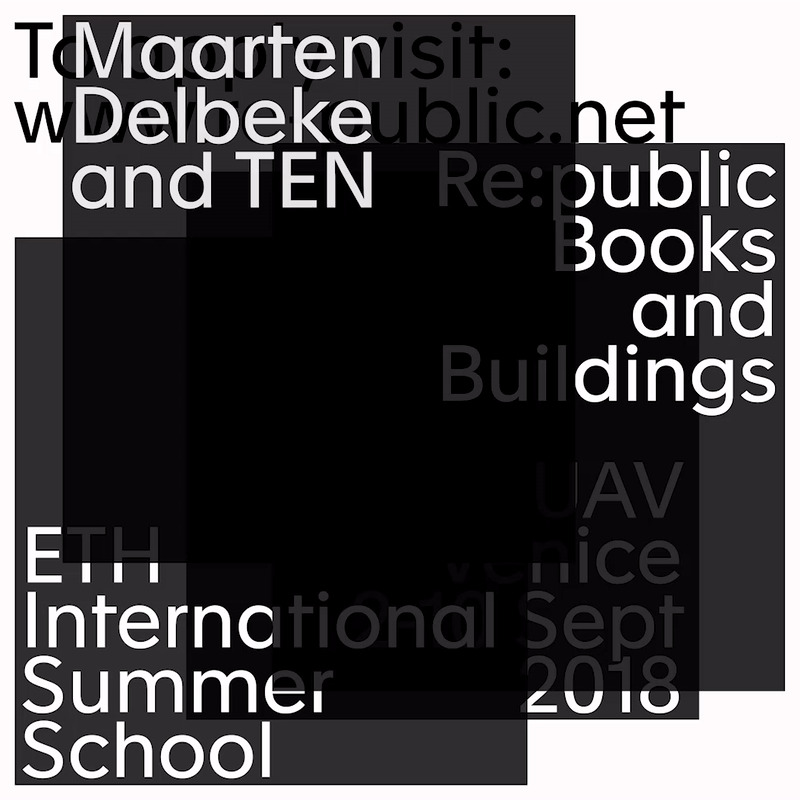 In this intensive 8-day international summer school hosted by the IUAV University in Venice, our goal is to interrogate the relationship between the building and the book in architectural culture, with the aim of collectively constructing and live-printing our own architectural book in response to our findings: A Design Brief for a Library. This book will form the basis of a hands-on construction project to take place in the future years of our ongoing summer program. The course will be taught by Maarten Delbeke and TEN, with the participation of invited guests for critiques and lectures. €380 per person. This fee covers accommodation, tuition and all excursions arranged by the organisers as part of the programme. The fee does not cover meals (apart from breakfast and some communal dinner events), travel costs to and from Venice, or the cost of local transport around Venice for the duration of the workshop. Students of art, architecture or history, worldwide. Application is via an online form and document upload (see below). Students will be accepted based on a short cover letter of motivation, a portfolio (of either written research or design work) and a one-page CV. These documents should be combined into a single PDF of no more than ten pages and uploaded onto the website. No email applications will be accepted. Successful applicants will be notified no later than 6 July 2018.